Want to rock Slash’s Rig? Now you can with the new AmpliTube Slash for iPhone, iPod touch and iPad app. 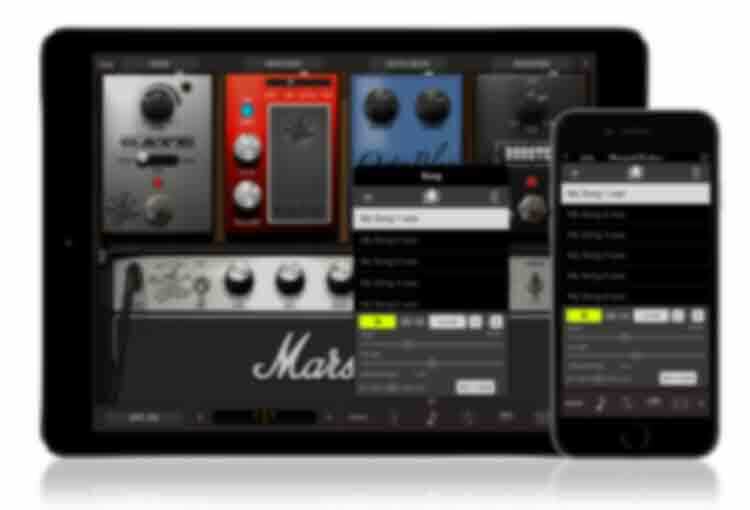 Play through a rock icon’s pedals and amplifiers, all from the convenience landscape of your iPhone, iPod touch or iPad. 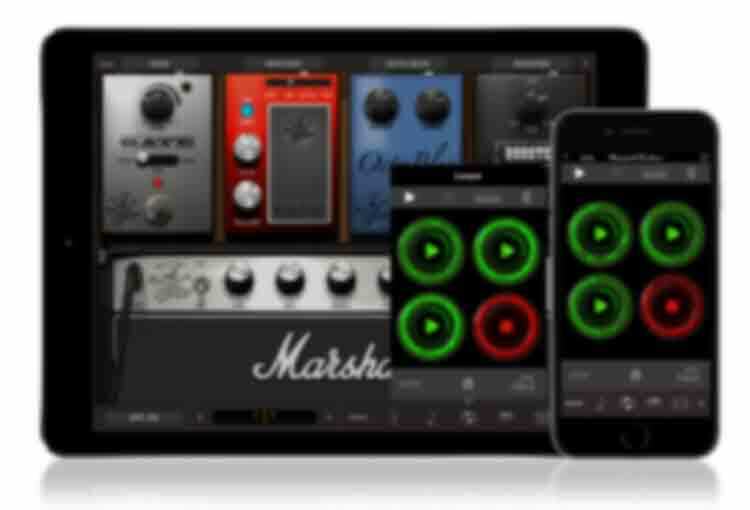 AmpliTube Slash is a full-featured mobile guitar effects processor and recording studio app that lets you play, practice and record with Slash’s signature gear, anytime and everywhere. AmpliTube Slash lets you configure a flexible guitar signal chain complete with 6 inline stompbox effects (4 pre amp, 2 post), an amplifier head and cabinet combination and a single-track recorder (expandable to a full production suite of 8 tracks, plus a complete set of mixing and mastering tools) for capturing your musical ideas quickly and easily. Before we get to the impressive array of Slash’s gear that’s included, a quick true story. Slash is an AmpliTube user since the beginning. He’s used our studio versions for years on countless records both in tracking and post production roles. He also was an early adopter of the AmpliTube iPhone and the iRig. We didn’t know this until our interview, but many of the musical ideas you hear on “Apocalyptic Love” were first recorded on the road in various hotel rooms in the wee hours of the morning using an iRig and AmpliTube for iPad. No kidding. You can listen to him talking about it in our exclusive interview. Now that you know he truly is a “user” of AmpliTube and not just an endorser (we don’t actually have “endorsers” for our products… all of our artists are active users and community supporters), you should get a better appreciation for what it is — pure Slash tone. Apocalypic tone. 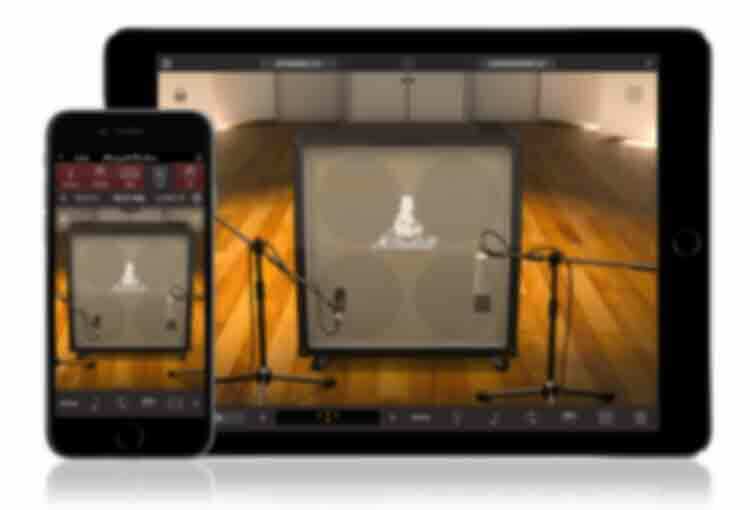 AmpliTube Slash for iPhone and iPad features models of all the legendary signature gear used by Slash in the studio and in his live performances. Now you can rock models of the legendary Marshall® JCM Slash Edition Silver Jubilee, the Marshall® AFD100 plus 6 of Slash's signature guitar pedals and play along with Slash’s extensive discography or any music from your music library. Also included is a collection of Slash guitar tone preset settings, provided as starting points for your own tone tweaking or playing along. The unique AmpliTube Slash signal chain lets you build your Slash rig with 6 simultaneous (4 pre amp, 2 post) stompbox effects running into an amplifier head, a speaker cabinet and a microphone. Each element of your tone is individually selectable, with fully operational controls for ultimate ‘tweak-ability’. You’re going to have a lot of fun experimenting and exploring sonic possibilities with AmpliTube Slash. Its “Cab Room” feature gives you the keys to your very own virtual studio room that you can use to mike your speaker cabinets in 3D with up to 2 different microphones. AmpliTube SLASH offers deep, easy to edit integration with a range of controllers. Connect iRig Stomp I/O, IK’s revolutionary USB pedalboard controller and audio interface that lets you stomp effects, change presets, adjust settings and more, all with the feel of a traditional pedalboard. Or connect iRig BlueBoard and enjoy editable, wireless control over presets and effects. AmpliTube is also MIDI compatible so IK’s MIDI interfaces (like iRig MIDI 2) let you connect external controllers and associate patches or parameters with just a few taps. AmpliTube Slash features a single-track recording studio that can be expanded to a full 8-track multi-track recording studio and mastering suite. It features 8-track recording capabilities, with a bounce (just in case you run out of room), and each channel has 2 independent sends to a master effects section, plus a global EQ and Compressor section for tightening up your mix. You can import material directly into a channel and record along with backing tracks, play along with Slash, or use an iRig Mic to create stunning vocal tracks. AmpliTube Slash also supports project sharing. It lets you use iTunes File Sharing to copy and paste project folders between AmpliTube's different device versions. And as if that wasn’t enough, AmpliTube Slash's optional Studio mode lets you harness the raw potential of DAW-style timeline waveform editing. This means that you can compose, arrange, remix, edit and produce complete songs from start to finish while on the go. Like to get loopy? AmpliTube Slash's optional Looper feature gives you a convenient way to record and play up to 4 loops at a time. And you can export your creations using its handy export function. It's the perfect thing for when you want to experiment and come up with cool new ideas. Now you can create your own accompaniment and play with all sorts of different melodies, leads and chord progressions on the fly, and at the touch of a button. AmpliTube Slash comes with a pretty accurate tuner and metronome. But you can augment this with IK’s UltraTuner, the most precise tuner for iOS ever. It’s accurate down to 1/100th of a cent (that’s 10 times more accurate than mechanical strobe tuners, the hardware “gold standard” equivalent). AmpliTube Slash also features a robust “song” player section that lets you play along with songs or backing tracks by importing them directly from your device iPod library or from your computer. The song section also features links to the new “Apocalyptic Love” album and links to Slash music available on the iTunes store that can be purchased and added to your library and the app for play-along purposes. Plus, the song player has a "NO VOICE" feature that lets you mute the center pan of the music (where vocals and leads are usually placed in the mix) so you can play and sing with the band. Go ahead, Slash doesn't mind. The Song section also includes our popular SpeedTrainer learning/practice feature which can slow down or speed up the tempo of audio material without affecting the pitch. You can use Amplitube Slash with Inter-App Audio to process and add effects to the sound of all your favorite mobile music creation apps. This means that Amplitube Slash's realistic amplifiers, stompbox effects and other cool pieces of gear can be used with things like Apple GarageBand. Amplitube Slash is also fully compatible with Audiobus (a third party app, sold separately). This lets you route audio through up to three apps. With it, you can use Amplitube Slash as an effects processor for an instrument or for audio coming from another app. You can also use Amplitube Slash to process and/or record the audio coming from other apps in the chain. 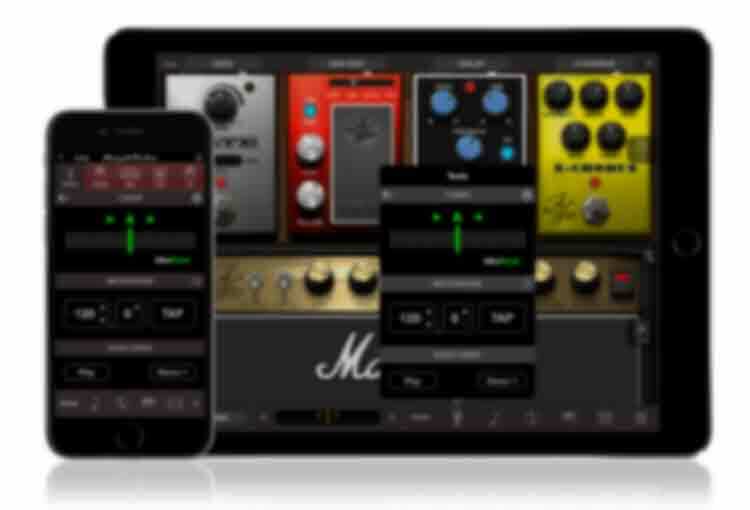 IMPORTANT: if you own AmpliTube for iPhone or iPad and you want to add all of the components of AmpliTube Slash into it, we advise you NOT to purchase the AmpliTube Slash app but instead add the AmpliTube Slash amps and effects all together or single a-la-carte gear directly in AmpliTube through in-app purchase. BOSS®, DD3™ are trademarks or registered trademarks of Roland Corporation. DUNLOP®, SW95™ are trademarks or registered trademarks of Dunlop Manufacturing, Inc.
MARSHALL®, AFD 100™, JCM SLASH 2555SL™, 1960AV™, 1960BV™ are registered trademarks and trademarks of Marshall Amplification Plc. MXR®, Smart Gate®, Blue Box™, CAE MC401™, M134™ are trademarks or registered trademarks of Dunlop Manufacturing, Inc.